CINCINNATI - Zoos around the world are faced with the challenge of keeping their guests and animals safe. 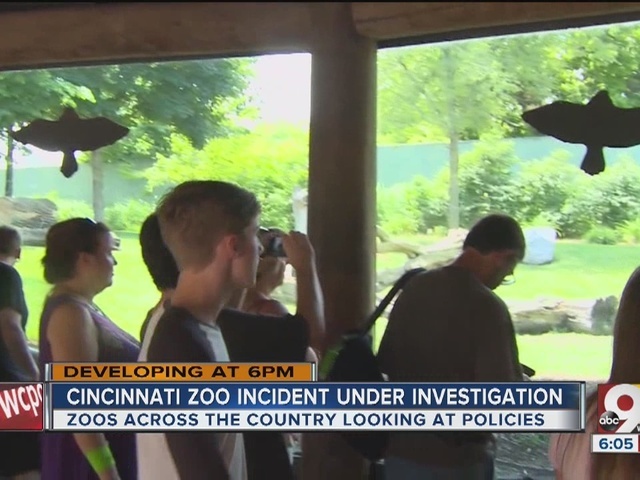 And it's probably safe to say they have been reviewing their security and procedures this week after last Saturday's incident at the Cincinnati Zoo. Around Ohio, the Toledo Zoo has a dangerous animal response team like the one in Cincinnati that shot and killed a gorilla last Saturday. Toledo's team had to shoot a chimpanzee for safety reasons back in the 1980s. Toledo Zoo Director Jeff Sails says they have 10 members on their team. "We have all the employees who are part of the team qualify throughout the year and we do monthly training with respect to the use of firearms and we drill consistently to make sure people are familiar with it," Sails said. The Toledo team prepares for the kind of incident that happened here - a determined 3-year-old boy deliberately climbed through a barrier and several feet of bushes and fell into the gorilla moat. After a 17-year-old gorilla named Harambe started dragging him through the water, zoo officials decided they had to shoot a gorilla for the boy's safety. But there's a big difference – in Toledo, barriers for the more high-risk animals are glass. "We don't have a lot of enclosures that lend themselves to that situation," Sails said. "With us, it's more about preparing for a situation like a powerful storm and to make sure all the animals are secured during a storm." In Columbus, the lion exhibit is similar to the one in Cincinnati -- a 3-foot barrier with a wire netting in front -- but gorillas there are behind full enclosures from top to bottom. However, none of the zoos break national standards. The USDA doesn't require a barrier if there is a natural barrier such as a moat or trench surrounding the exhibit. 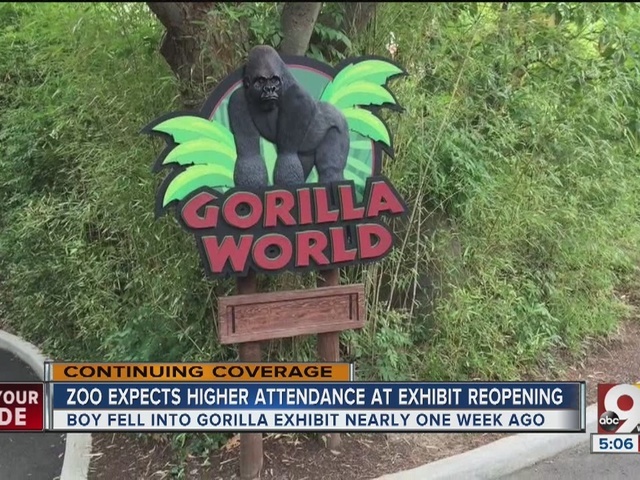 Cincinnati Zoo director Thane Maynard says its barriers and DART team exceed standards, but the zoo is installing a higher, more secure fence around the Gorilla World exhibit before reopening it next Tuesday. The new barrier is 3 1/2 feet high with wood beams top and bottom and knotted rope netting, the zoo announced Thursday. It is the same height as the barrier at the zoo's lion exhibit, shown below, the zoo said. Cincinnati's DART team has 15 members including veterinarians, full-time keepers, maintenance, security and zoo leadership. The zoo official who made the decision to shoot Harambe is a member of the team. They just happened to go through training the previous week. "They are certified by the Hamilton County Sheriff's Department and clearly they are steady at the moment of truth," Maynard said.